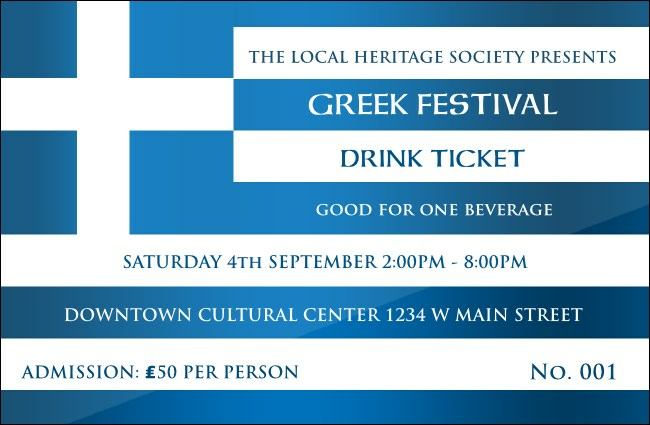 Celebrate your heritage when you use the Greek Flag Drink Ticket! A full colour representation of the nation's flag will be emblazoned with all your gala, anniversary or benefit details in brilliant blue and white. The template comes with sequential numbering to help with security. From classic to contemporary, find the right drink ticket for every occasion at UK Ticket Printing.